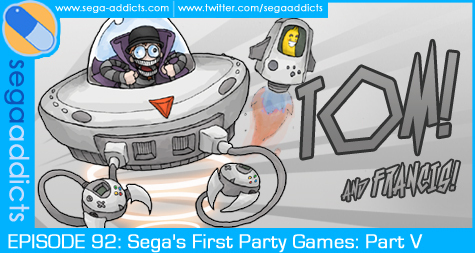 On this week’s episode we discuss the greatness that was Sega’s games on the Dreamcast. It’s both a high point and a low point for Sega as they were releasing some of the most creative and engaging games of their entire career and yet it still wasn’t enough to overcome the competition from Sony, Microsoft, and Nintendo. Still there’s no denying that the Dreamcast era was a great time to be a gamer and a Sega fan.